The town houses F. W. Woolworth built for his three daughters in about 1920 and today; all are still standing. GAIL FENSKE’S new book, “The Skyscraper and the City: The Woolworth Building and the Making of Modern New York” (University of Chicago Press, 2008), is an exhaustive and engrossing account of the iconic skyscraper in Lower Manhattan. She very briefly treats another earlier Woolworth building: the dime store millionaire’s own neo-Gothic house of 1901, long gone but survived by the three nearby houses at 2, 4 and 6 East 80th Street, which he built for his daughters. 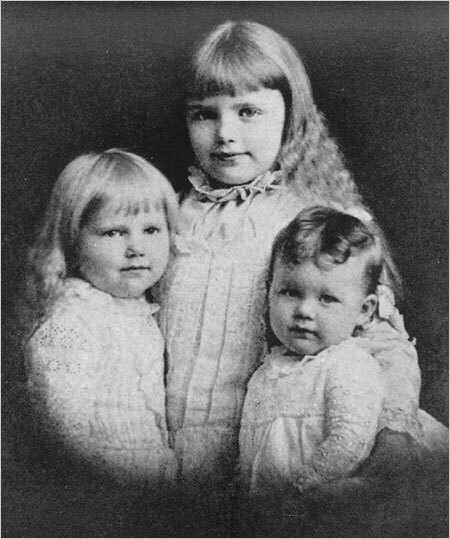 F. W. Woolworth's three daughters. 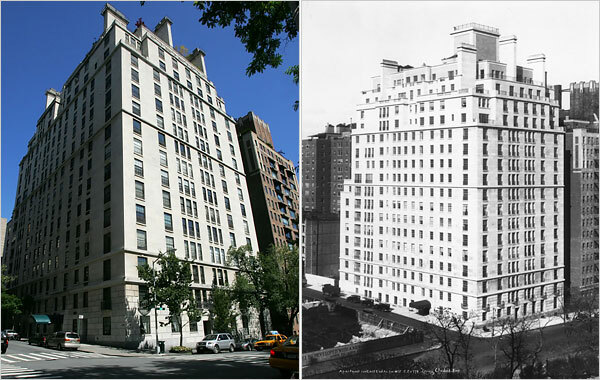 F. W. Woolworth's house on 80th Street was demolished. Woolworth Building under construction in 1912. The mansion architect Charles Pierrepont Henry Gilbert. 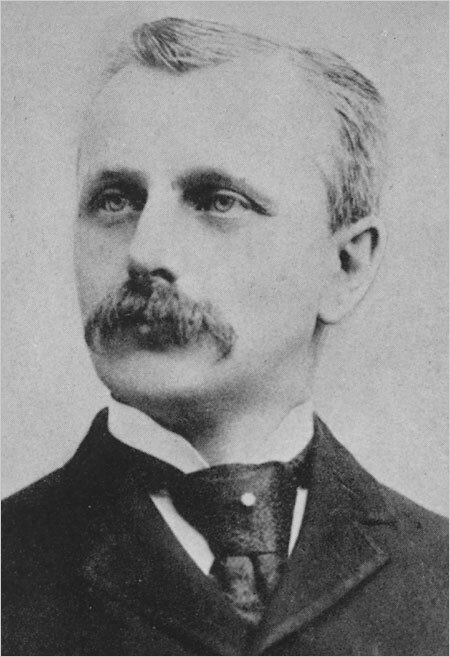 By the late 1890s, Frank Winfield Woolworth’s chain of low-priced stores was expanding rapidly. 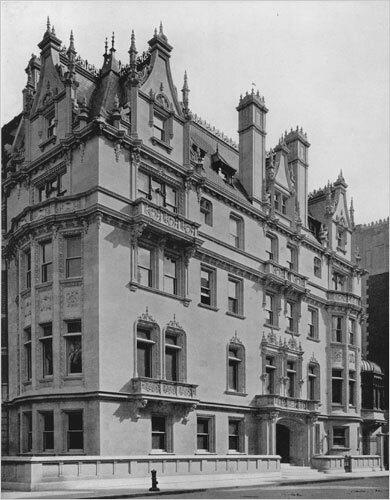 He selected a house site at the north corner of 80th and Fifth Avenue and in 1899 retained the mansion architect Charles Pierrepont Henry Gilbert, who had just finished the delicate French Gothic house at the south corner of 79th and Fifth, now the Ukrainian Institute of America. Woolworth must have been happy with Gilbert’s work, because in 1906 he retained him again to design the two-story-high Jumel Building, at 162nd Street and Amsterdam Avenue, an otherwise unremarkable store structure. 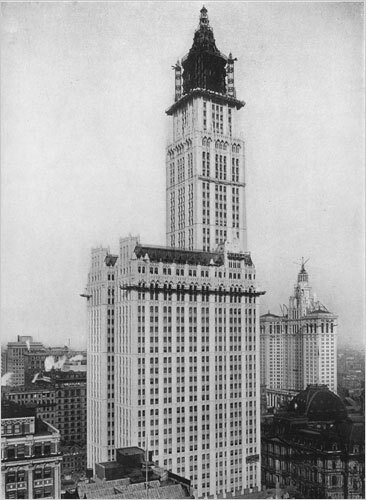 It was not until 1910 that Woolworth had definite ideas about building his 792-foot-high tower at Broadway and Park Place, by which time he was working with a different Gilbert. 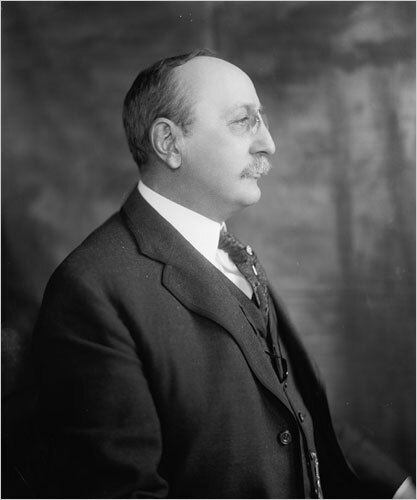 That was Cass Gilbert, the architect of high-profile projects like the United States Custom House, at Bowling Green, now the National Museum of the American Indian. So it must have been a very specific matter of choice when Woolworth returned to Charles P. H. Gilbert for three more houses, which he built from 1911 to 1915 on East 80th Street. These were for his three children: Edna (Mrs. Franklyn) Hutton, at 2 East 80th; Helena (Mrs. Charles) McCann, at 4 East 80th; and Jessie (Mrs. James) Donahue, at 6 East 80th Street. For the Huttons, Gilbert created a severe neo-Classic house of white marble. For the McCanns, he built a darkish limestone house, 35 feet wide, in the French Gothic style, similar to Woolworth’s own residence. For the Donahues, Gilbert worked in a style very similar to that of the Hutton house, but in a translucent white marble. According to Dr. Fenske’s research, Woolworth had fits of weeping during the construction of his tower on Broadway, completed in 1913. Perhaps the pressures of these smaller buildings added to his burden. Coordinated groups of houses in New York are unusual. George F. Baker, a banker, created one with a mansion, guesthouse and garage (with a dwelling above) at 93rd and Park; they are all still standing. The Phelps and Dodge families built a three-house enclave at 37th and Madison Avenue in the 1850s; only one of the houses remains, and is now the Morgan Library bookstore. The Brokaws built four family houses at the corner of 79th and Fifth, all demolished. In the 1920s, Frank Woolworth’s mansion was demolished for the apartment building at 990 Fifth Avenue, and his children gradually left their unusual dwellings; the McCann family was the last to sell, in 1943. Today, the marble on the Hutton house is sugaring away, and it has taken on a slightly soiled cast. But the marble of the Donahue house is still hard, rich and translucent, with feathery gray and brown streaks that look like vines frozen into lake ice. 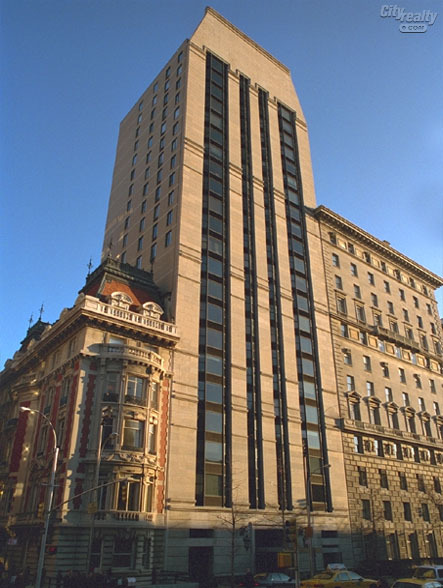 The philanthropist Frederick Koch owns it now, and it has a seamless addition on the top, designed in the 1990s by the architect Charles T. Young. The wild card in the middle, the limestone McCann house, was occupied by Lucille Roberts, the fitness entrepreneur, at her death in 2003. It has unusually deep cut carving around the doorway — an amusing array of frogs, lizards, birds and squirrels. It is axiomatic that few New Yorkers stop to notice such details, but even fewer know the story of this forgotten enclave. What ugly building is now in its place? Can't believe how stupid some people can be to tear something like this down. What ugly building is now in its place?. Not so ugly. 990 Fifth Avenue. Don't you just love that gorgeous little building sandwiched between the two larger buildings? ^ That's good news but are you sure that's the site? 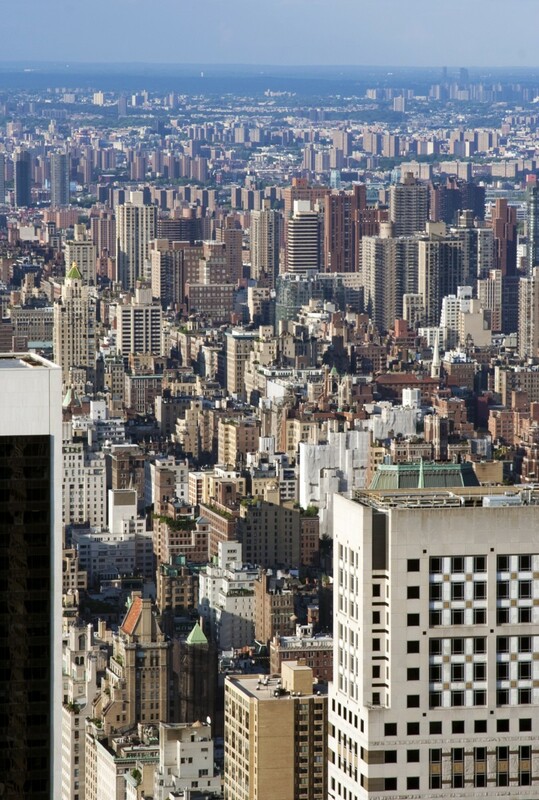 Well unless the article is wrong from the NYT or the picture of 990 Fifth is wrong, it probably is 990 Fifth. I just want to be sure. A beautiful townhouse replaced by another beautiful building doesn't hurt as much. If it was replaced by some 1960's white brick apartment building or modernist glass box (which has happened quite often in this city), then it will be hard to take. Luck, if it can be called that, is that the 990 5th. Ave replacement came in 1927. Had it happened later you could have had something like this, its near neighbour at 1001 5th. Avenue. At least this one survives. Jesus, that's gorgeous. Where is that? If only we still built with a fraction of the care put into that ^ today. French Gothic house at the south corner of 79th and Fifth, now the Ukrainian Institute of America. FOR weeks, brokers have been talking about the quickening pace of the real estate market, with more and more showings and more and more buyers materializing at open houses. At last this has translated into a trickle of signed contracts for expensive apartments and houses. For Edward Lee Cave, the longtime broker of luxury Upper East Side properties, the peak spring selling season brought a bit of déjà vu along with the daffodils. A year ago, in another spring season, Mr. Cave found a buyer for an ornate 100-year-old 25-foot-wide limestone town house, with 13,000 square feet of space spread over six stories, plus a basement, at 5 East 78th Street. He sold the place for $23.5 million, $500,000 above the asking price. The trouble was that the town house, designed by C. P. H Gilbert and known as the Barclay Mansion, had been divided into apartments over the years, and the buyer wasn’t prepared to close until the last tenant, the Brazilian consul general, had moved out. The tenant finally left in January, but by that time the once sizzling Manhattan market had chilled, and the buyer backed out, leaving a $2.35 million deposit on the table. Now the town house is in contract again, at a price Mr. Cave said was significantly below the final asking price of $18.5 million. How it came to be sold again says a lot about the uncertain real estate market, and the cold-blooded realism that sellers need to make a deal. Since the 1940s the house has been in the family of Adele Simpson, a prominent fashion designer who died in 1995 at age 91. When the deal to sell it fell through, her daughter, Joan Raines, decided to keep the deposit, and put the place back on the market at a reduced price. “The owners were totally, totally intelligent and they knew the market had changed,” Mr. Cave said. The asking price was set at $21 million in February, high enough so that the sellers could nearly get their original price after counting the first buyer’s deposit. But when it didn’t sell, they dropped the price again, to $19.5 million, attracting four or five interested parties, and several low offers. “We countered by dropping the asking price to $18.5 million,” Mr. Cave said. The listing, on the Brown Harris Stevens Web site, which recently absorbed the Edward Lee Cave firm, begins with the words “MOTIVATED SELLER.” Mr. Cave said that the final price, which worked out to far less than $1,400 a square foot, was “staggeringly inexpensive,” considering the house and its location. Soon after the contract was signed, several prospective buyers offered more, Mr. Cave said, but the sellers stood by the deal. “These folks were not greedy,” he said. So far this year, only three town houses or apartment listings for more than $16 million have closed, according to city property records. But last week another apartment listed in the same price range went into contract, though the actual sale price may have been lower. At 15 Central Park West, a 3,500-square-foot four-bedroom apartment on the 11th floor went into contract last week. The final asking price was $18.5 million. Though the apartment was on the property’s more expensive park side, at West 62nd Street, and had views from the living room, dining room and master bedroom, it had languished on the market for more than a year, during which it suffered five price cuts. The contract price of the listing, with Brown Harris Stevens, was not disclosed. At One Beacon Court, a condominium tower atop the Bloomberg headquarters at East 58th Street near Third Avenue, an apartment on the 49th floor with views across Manhattan and Central Park was listed for $16 million last November by a hedge fund executive. The price was cut to $14.4 million in February, according to the listing agents, John Burger of Brown Harris Stevens and Robby Browne of the Corcoran Group. It closed earlier this month for $12 million, brokers said. THE late Brooke Astor was married to Vincent Astor for only six years before he died in 1959 and left her the fortune that made her New York’s most famous philanthropist. But for all of those six years they lived in a building that Mr. Astor had himself developed, the impeccably reserved 120 East End Avenue of 1931, at the northwest corner of 85th Street. Overlooking Carl Schurz Park and the East River, the limestone building, designed by Charles Platt, sits impassive and erect, like a queen at court. It remains one of the great sleeper apartment houses of New York. Mr. Astor inherited $60 million in real estate, including the St. Regis Hotel, in 1912 as a Harvard freshman. In 1927 he built his own house at 130 East 80th Street, a discreet and elegant work by Mott Schmidt, now the headquarters of the Junior League of New York. In the same year he began building on East End Avenue, which until that point was a threadbare area of walk-ups and factories, although with a lovely riverfront park. Mr. Platt, his architect, filed plans for a Park Avenue-type apartment house just off East End at 530 East 86th Street. Calm and composed, it is in keeping with Platt’s patrician palette. As that building rose, so did Maria Chapin’s private girls’ school, at 84th Street and East End Avenue, a second sign that the area was at a turning point. Despite the out-of- the-way location, Mr. Platt’s building rented completely before it was finished. In early 1930, before the full effect of the stock market crash of October 1929 was felt, Mr. Astor began work on a new $1.6 million apartment building at the northwest corner of 85th and East End. Two decades before, a building of this ambition would have been laden with opulent stonework, like McKim, Mead & White’s 998 Fifth Avenue, at 81st Street. But in Mr. Astor’s time, sumptuous austerity won out. The divided lights of the double-hung windows form the principal decoration of the severe facade. Apartments were from 10 to 19 rooms, like a 15th-floor apartment with a living room 20 feet by 30 feet, a dining room 18 feet by 28 feet, five bedrooms, seven baths and seven servants’ rooms. These were not the equals of those in tiptop Fifth Avenue buildings, but they were perfectly adequate if you had an estate in Glen Cove, a big house in the Berkshires and a shooting plantation in South Carolina. Rents topped out at $22,000 per year in 1931. Mr. Platt gave 120 East End some touches hard to notice from the street, like the floor-to-ceiling windows in many of the entertaining rooms. Looking down to the street at a steep angle through only window glass and a simple iron fence is an unforgettable experience. And on the 85th Street side, Mr. Platt created narrow step-out balconies, recessed within the plane of the building. Mr. Astor did something at 120 East End that would not have been possible with high-priced real estate on Fifth Avenue. At the west end he created a 57-foot-wide park, and on the north side he joined with the developer Alexander Bing, the builder of 130 East End, to create another small park between their buildings. Had 120 East End been built on Fifth or Park, it would be widely known; on East End Avenue it is virtually invisible. Early tenants included people like Thomas Hitchcock Jr., the crack polo player. Another was Lawrence Tibbett, a star baritone at the Metropolitan Opera. In January 1931 he was rehearsing the part of Guido Franceschini in the opera “Caponsacchi,” using a stage dagger to threaten an attacker. By chance, he cut the hand of another performer, Joseph Sterzini, who died at a hospital, not from the wound but from a heart attack. Mr. Tibbett had a 16-room apartment with terraces; Mr. Sterzini lived in a two-family house in Bensonhurst. 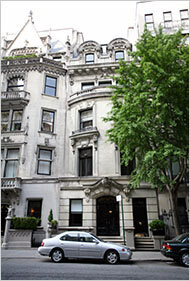 Mr. Astor gave up his 80th Street mansion in 1940, and moved to 120 East End Avenue with his second wife, the former Mary Cushing. After their divorce in 1953, he married the former Brooke Marshall. In her 1980 memoir “Footprints” (Doubleday), she wrote that they spent February to April in Arizona, the spring and fall in Rhinebeck, N.Y., summer in Maine and early winter at 120 East End Avenue. Mr. Astor was presumably one of the buyers in 1956, when he made the building a co-op; 39 of the 41 tenants became buyers. Thus Vincent Astor was just one of many owners when he died at age 67 at 120 East End in 1959. 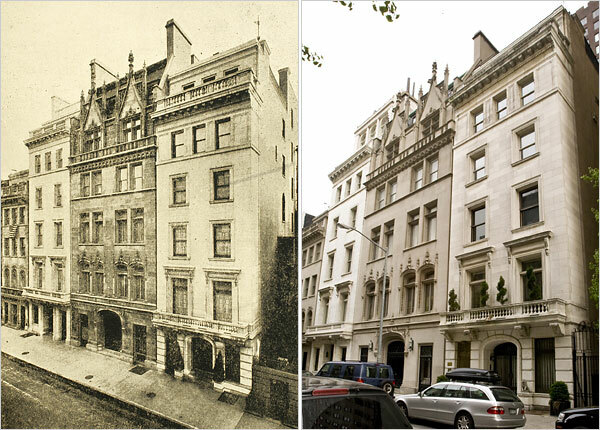 Although he was clearly satisfied with a quiet life well out of the fast lane, within a few years Mrs. Astor moved to the center of the fashionable East Side and bought at 778 Park Avenue, her residence until her own death two years ago. IMO, that terrace is horrible, even without that green thing, and looks totally out of character on this building. And no view of the Queensboro Bridge . It has come to our attention, via the iPhone of a tipster, that something very strange is going on at 1 Sutton Place South, specifically involving its legendary penthouse. "The small things on the wall are stones and the large green sculpture is an emerald," writes our source. "Surprised the co-op allowed this monstrosity." We could try to find out the explanation for this al fresco insanity, but you know what? We kind of prefer the mystery, lest we be disappointed by some sort of marketing gimmickry. UPDATE: Damn it, people, we said we wanted a mystery! As pointed out in the comments, the emerald is a sculpture by Jeff Koons purchased by the penthouse dwellers. But seriously, how'd they sneak this by the board? The bigger question is...are those polka dots on the wall actually Louis Vuitton logos?